Installing recessed trolling motor tray on the Bass Tracker Heritage and Bass Tracker Classic can be a daunting task. 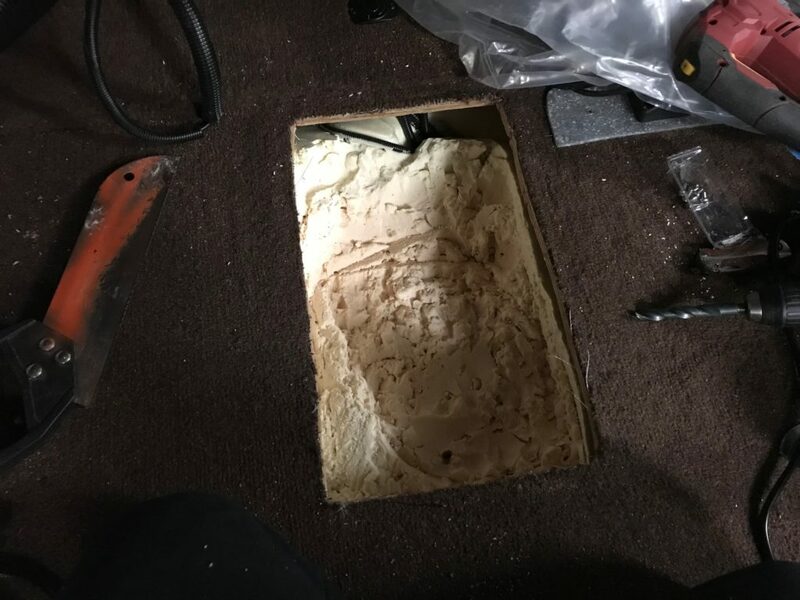 Not only is cutting and drilling holes in a boat scary, but the fear of losing a warranty on a brand new boat has stopped this project from happening for many people. I was on the fence for some time, but after doing it, all I ask is why did I wait so long? Truth is, there was no information on how to and the information that was available was mixed and discouraging. Powder coated aluminum. UV protected. 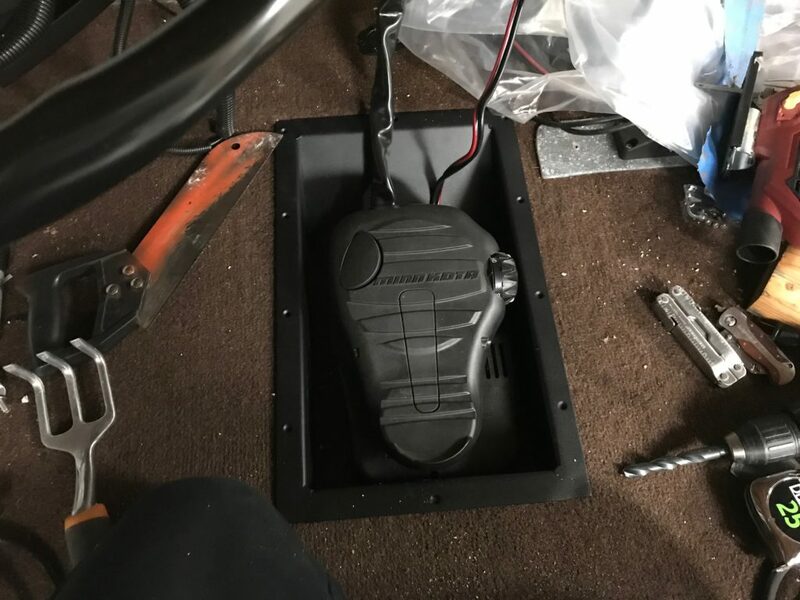 Universal – any brand of trolling motor foot control will fit in the pan. Dimensions: 9-3/4”Wx17”Lx4”D. Outside flange dimensions: 12”Wx19-1/2”L. The lips of the tray are 1 inch around. I started my cut, one inch from the front cover. 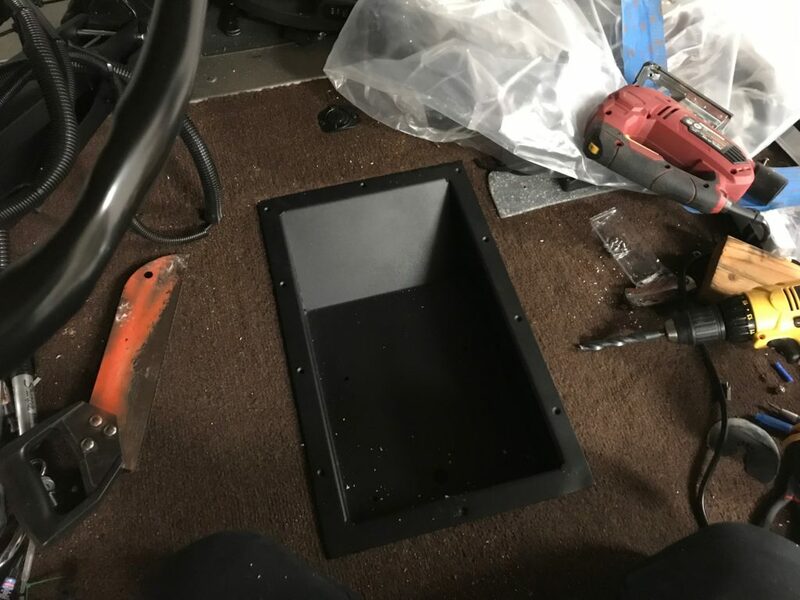 This allows the tray to be lined up with the front hatch cover. Use the images below for help with your install, if you have any questions, please ask. Start by measuring and taping off the area to cut. Remove the carpet. Use a sharp blade and cut a box inside the taped area. I started in the center and pulled to the edges. 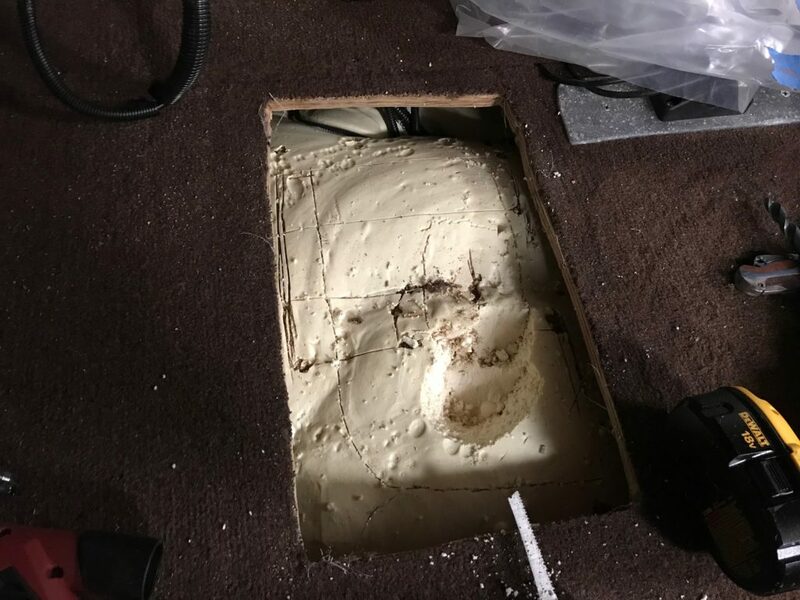 Be carful and remove carpet slowly to prevent pulling more than required. 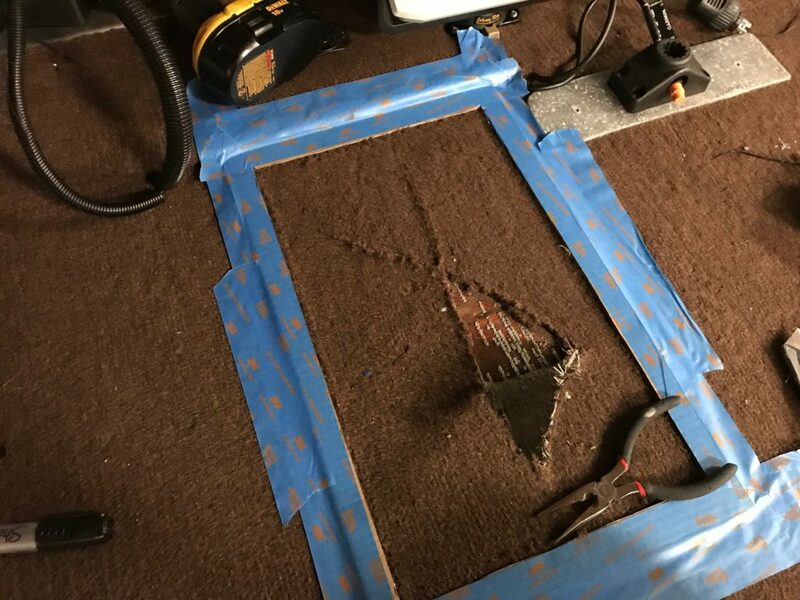 Once the carpet is removed, use a drill either in the corner or in the center. I used a jigsaw, but a router could work or a small hand saw. 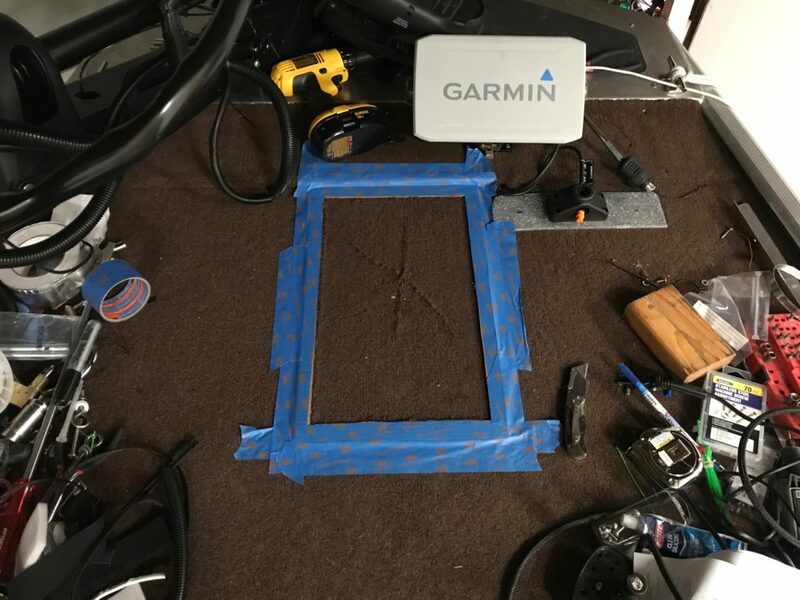 If you are installing from the center, there is no beam in the vicinity of the tray to worry about. Once the wood is removed, begin the dig out the foam… This is the hardest and messiest part. Use a small garden hand rake. As you remove the foam, stop to fit the tray. Remove as much foam as required for fitting. 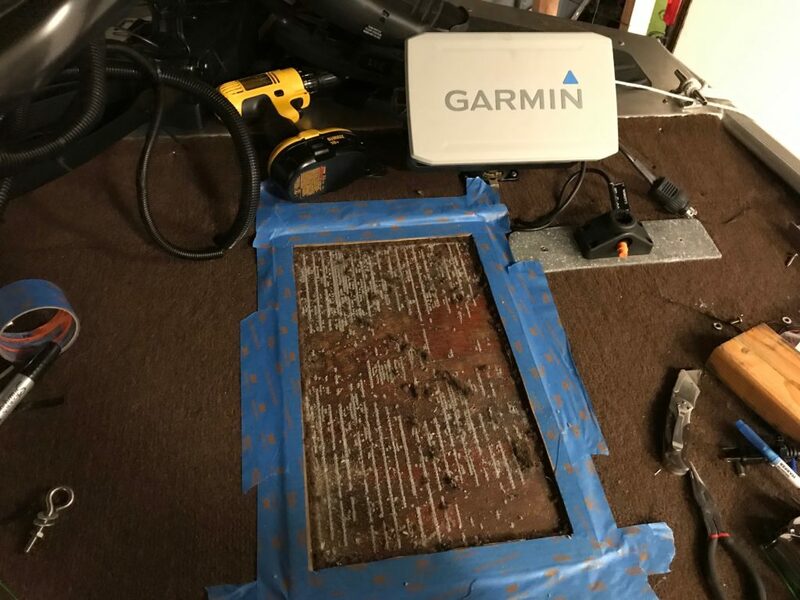 Remove any wood along the edges I needed. Once the tray is fitted in, it should not have any play. 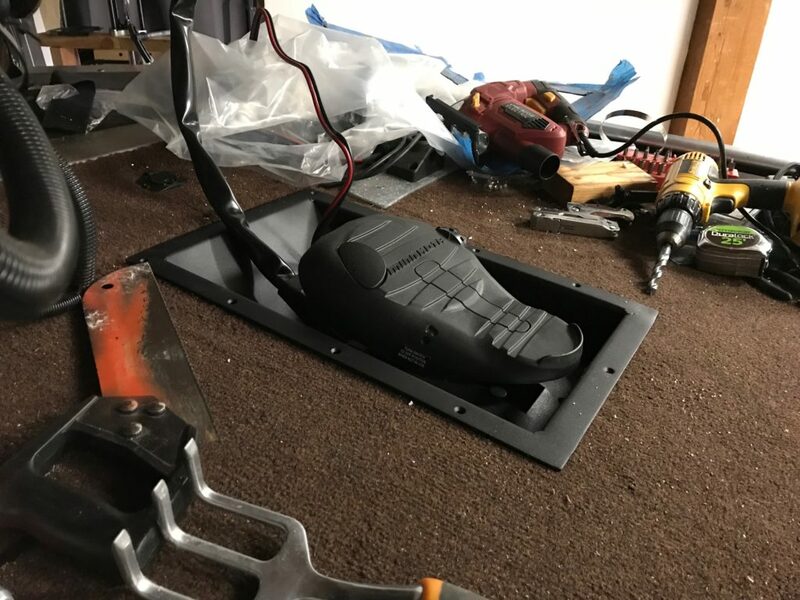 Top down view of tray with foot controller. Side view of tray with foot controller.